The third and fourth floors of the building house two “Simplex Residences”, the last 2 of only four apartments for sale in the development. Your property will enjoy the highest building construction and finishing standards as well as 160 m2 of living space, 15 m2 of underground storage space and splendid un-blockable open views to the sea (Beirut to Dbayeh). 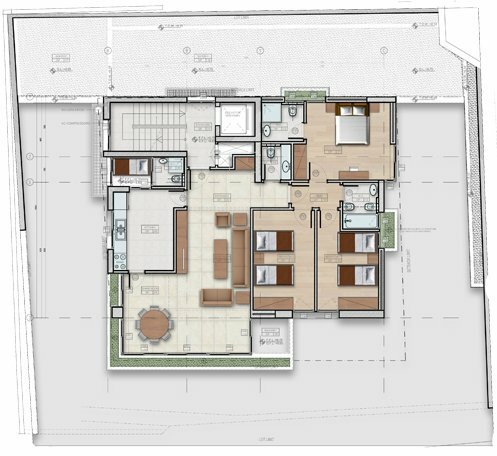 The “Simplex Residences”, as is intended with all the apartments of the project, can accommodate a 3-bedroom configuration (1 master and 2 regular) or a 2-bedroom configuration (1 master and 1 regular) with a roomier living area.